Pay only 3.5% in final value fees in guitars and basses. Has light wear. We will do everything within our power to quickly resolve your inquiries. New ListingVox AC15C1 Combo - Special Edition Purple - Celestion Greenback - Excellent! AC15C1 Custom Combo. The VOX AC15 is the amp that started it all. Celestion Greenback Speaker. Special Edition Purple. Based on the 5005 solid-state 12-watt combo, this miniature monster won the hearts of all who saw it, and in one of it's custom colors of white, silver, green, or red it looked like an overgrown lollipop and just as enticing! Supro 1648RT Saturn Reverb 15W 1x12in Guitar Combo Amp. Condition is Used. Shipped with FedEx Ground or FedEx Home Delivery. 100-watt Modeling Guitar Amplifier with 2x12" Speakers, 14 Digital Preamp Models, 4 Digital Power Amp Models, Speaker Emulation, 24 Onboard FX, LCD Display, Aux Input, Bluetooth Connectivity, and 2-channel Footswitch. Used but full of mojo Peavey Classic 112e USA Tweed Cabinet for Classic 30 Don’t let this rare item get away. All sales are final. Thanks for looking! Boasting two channels, an ECC83 preamp tube, a 12BH7 power tube, and the award-winning preamp from the HT Pedal series, the HT-5R is perfect for any situation requiring raw tube tone. Award-winning HT Pedal preamp. New ListingOrange Amps Crush Bass 25 Combo Amplifier Solid State Active 3-Band EQ 25W 1x8"
This 25 Watt combo features an all-analogue signal path, a ported cabinet for improved low end response plus a highly responsive active EQ section. Dial in a massive range of classic bass tones or create your own. 5 out of 5 stars - Orange Amps Crush Bass 25 Combo Amplifier Solid State Active 3-Band EQ 25W 1x8"
1 product rating1 product ratings - Orange Amps Crush Bass 25 Combo Amplifier Solid State Active 3-Band EQ 25W 1x8"
It was designed with all levels of players in mind. -Proprietary tone stack and voicing circuitry from Bruce Collins. -5 watts of great tube tone. Small variations do occur. -6V6 power tube. -Small enough to be carry-on luggage. Markbass TA501. GROUND LIFT. center frequency: 40 Hz; level ±. center frequency 380 Hz (cut). EQUALIZATION LOW. 250 Hz-20 kHz cut. Bonus features include foot-switchable mute-to-tune and EQ bypass! unbalanced, max. The gain channel gets big, chunky tone with massive, tight low end, but it never loses its articulate note definition or great lead tone. The clean channel is bright and. The MT 15 is a commanding two channel amp with balanced aggression and articulation. Feast your ears on industry-leading Line 6 amp and FX modeling, dialed-in tones and presets, and much more. Advanced Line 6 Amp Modeling. Plug into 16 of the best-sounding amp models we've ever made. New ListingVintage 1992 Fender Super 112 All Tube 1x12 Combo Amp! Made In USA! NO RESERVE!! All Tube 1x12 Combo Amp! Made In USA! This is really cool. You are looking at a 1992 Fender Super 112. 60 Watt all Tube 1x12 Combo. commonly referred to as the "Red Knob" amp. Kind of Rare. In production from 1990-1992. It's the perfect combination of old school amp tech mated with cutting edge technology. Plug into the Fender Bandmaster VM and experience a whole world of possibilities. Here is a Fender Band Master VM 40 watt tube head, was only used in the studio and did not see gigs. Fender blackface1966 Showman. Sounds incredible! All origibal from march 1966 except filter caps and tubes have been replaced. The original output transformer reads at 4ohm which is incredibly rare for a showman. It gives this one even more punch and headroom! Been recently serviced and everything is good to go and sound amazing. Introducing the Recto®-Verb™ Twenty-Five Head and 1x12 Combo. Plus, their classic vinyl-covered birch cabinets provide a wide array of custom finish options to fully personalize them. Frets are checked for high spots and buzzing and the frets are polished. Fender '65 Deluxe Reverb Reissue in excellent condition. Never gigged by me. No tears in tolex. With foot pedal. Just serviced—jacks and controls cleaned, bias checked and set, tube replaced, others arranged. Sounds great. Marshall MG100DFX 100 watt Guitar Amp, EX condition. Condition is Used. Roland Cube Amplifier is previously owned and in excellent condition. No scuffs or scratches on the amp. The amp has been tested and it works well. Unique Dyna Amp feature. What's Included?. What is the history of the item?. Players who want the features and tones of the Marshall Code series in a stackable design need look no further than the Marshall100H! With 100 watts and 24 onboard effects, the Marshall Code100H has what you need to plug into a 4 x 12" and let loose for any size gig. Swart STR-Tremolo Amp. Amp is used but in like-new mint condition. Has built in reverb and tremolo. These Swarts sound incredible! Only played a few times in my home. Included is the foot switch as well as a night lite jr. to get some dirt at bedroom levels. Selling because I mainly play acoustic. Will ship in original box. Vox AC10C1 1x10 10w Tube Guitar Combo Amplifier - Used. 1x10 10w Tube Guitar Combo Amplifier. Now in 2015, VOX is proud to introduce the AC10C1, a modern take on this classic design. More portable than the AC15 and more powerful than the AC4, the AC10C1 features the classic Top Boost tone circuit that provides an array of classic and modern tones. The JAZ 20/40 encompasses all your favorite qualities from Dr Z’s most popular models. No need to decide between buying a 20 watt or 40 watt amp. The JAZ 20/40 is both in one box. There is zero change in tone and response when going between the ½ and full power modes. The wooden cabinet has been painted really nice as well as nice hardware such as handle, rubber feet, grill cloth, etc. The speaker is a 50 watt made in 2002 Celestion Seventy 80 made in England. 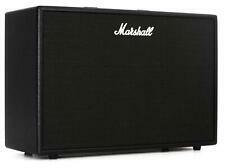 New ListingVintage MARSHALL Lead 12 Micro Stack 3005 Made in England, great JCM tone! Gray! We do not know the history of the item or have personal use of it. Friedman Smallbox, pristine condition. At one point I had three of these, and for no obvious reason this was the best sounding of the bunch. No Issues. (Includes AC cord and original foot switch). 8 Fender Special Design speaker. If you’re not satisfied, neither are we. It’s that simple. Different amp voicings and distortion types. Includes power cable. Tested and working great. OUR POLICIES. 1987 MINT CONDITION SILVER JUBILEE AMP with matching 412 cab. HARDLY USED, NEVER GIGGED. Third owner. ALL ORIGINAL, recently serviced.checked out 100%. Kemper Profiler Remote - Used. There is actually no need to create your own profiles. Designed to work seamlessly with profiler. Remote connects via a single ethernet cable to your profiler. Longer cables are possible as well. The Peavey Headliner series has been redesigned from the ground up for the serious bass player on a budget. Voiced for strong bass with a smooth harmonic tone, the versatility and performance of the Headliner 112 encourages use with any fine bass amp head. The EQ section includes a 3 band EQ and buttons for Punch, Mid-shift and Bright. Rounding out the features are a built-in chromatic tuner, XLR direct output with ground lift and 1/8" jacks for phones output and aux input. Like its smaller brother the BG-150, this amp has amazing power and performance to weight ratio. (5) Power On/Off Switch (6) AC Power Socket / Fuse. (1) D.I. Out (2) GRND Lift Switch (3) Tuner Out (4) Line Out. New Listing1972 Ampeg GT-10 Guitar Amplifier, Clean, Original, and with Reverb. Here's a really pretty good condition 1972 Ampeg GT-10 solid state, 10" speaker guitar amp with reverb. Original Rola 10" speaker and cone, dated 2nd week of 1972. The guys who designed this 50 years ago, did a nice job, as it has a nice tone to it, not sterile or thisn. 2010 Bogner Fish preamp reissue, Serial Number A101, super clean other than a little ding on one rack ear. Think Jerry Cantrell on Dirt. Custom Fender Two Tone Cabinet. New construction 1x12 cabinet made of #1 dovetailed pine with Baltic birch back panels and baffle. Loaded with a new WGS Veteran 30 speaker. This is for the speaker cabinet only. If you are looking at this amp, you already know what it is. This amp will give you anything your looking for, from crystal clear cleans to high quality hard rock. There is a reason most professional guitar players have this amp. Condition is Used. This is a used product, sound is clear, powerful and pristine. Black carpet shows wear as far as color, but not worn out or torn. •Fitted with casters. •weight: 85lbs/38.5Kgs. 2019 Supro 1695T Black Magick Tube Combo NAMM Show Display Model! Jimmy Page!!!! The Black Magick is the highest-gain amp in Supro's line, which makes it fantastic for attaining huge rock sounds. And the two channels can be run independently or in parallel for even more crunch and tone-shaping options. Behringer ULTRACOUSTIC ACX1800 Amplifier for Acoustic Guitar. Dedicated Tuner switch per channel for use with external tuner such as Behringer TU100, BTR2000, etc. Balanced stereo XLR Line Out with Ground Lift switch for direct connection to your mixing console. The Marshall Code 4 x 12" speaker cabinet is custom voiced to bring out the best in your Marshall Code amp head. Plug in with your Code100H and let loose with hand-picked modeled Marshall tones from the past five decades. Because there is no inherent right or wrong amp, the suitability of the end gadget will depend on your personal taste and the tuning of the ear. Quality guitar amplifiers are designed to precisely reproduce sound while maintaining a clean and accurate tone. You can find acoustic and electric guitar amplifiers from brands like Fender, Peavey, and Blackstar. Where are some places to store your guitar amplifier? When not in use, store your amplifier in a dry place that is well-ventilated and away from extreme temperatures. Exposure to moisture can damage your amplifier. When sliding or rolling your amplifier into the boot of your transporting vehicle, ensure that the controls are not damaged. When transporting your combo amp or cabinet, make sure that the face is downward so that the controls are not put under stress. If you cannot transport these face down, it is better to place the combo on its side and not on the castors. If you are a frequent traveler, you might want to invest in a flight case for better protection. How can you transport your amplifier without damaging it? After choosing your guitar, you will want a good amplifier to go with it. Depending on sound, technology, size, and configuration, here are four types of guitar amplifiers to choose from. What types of guitar amplifiers are there? Solid state amps: Designed for touring guitar players, these amps use a transistor for their preamp and power. These types of amps are sturdy and require very little maintenance and repairs. In terms of their output, they deliver a clean tone and quite a bit of distortion. Tube amps: This type of guitar amp has a warm tone with an "organic" distortion to them. Tube amps have a loud sound per watt and have a switch enabling you to change from clean to distorted tones with ease. To prevent the deterioration over time it is recommended that you periodically change the tube. Modelling/digital amps: This type of guitar amp uses digital technology to stimulate old-fashioned technology. They are able to emulate old amplifiers using software, and this feature enables them to combine several amps into one. Their programmable nature enables the user to switch digital effects such as the chorus, delay, and other features. Some models of these amps have a digital or analog output that goes directly to a recording or PA system through speaker simulation. Hybrid amps: While these amps are actually a combination of solid state power and a tube, they are able to mimic all the above amplifier types and put them in one package. A hybrid guitar amp is able to recreate the tube tone through the use of a solid state circuitry and a tubing in the preamp.